Gillette Sport Triumph Clear Gel long lasting fragrance has patent technology for instant cooling sensation and leaves you feeling fresh and recharged for long hours. .
Stay confident and competition-ready with the #1 men’s clear gel antiperspirant/deodorant. 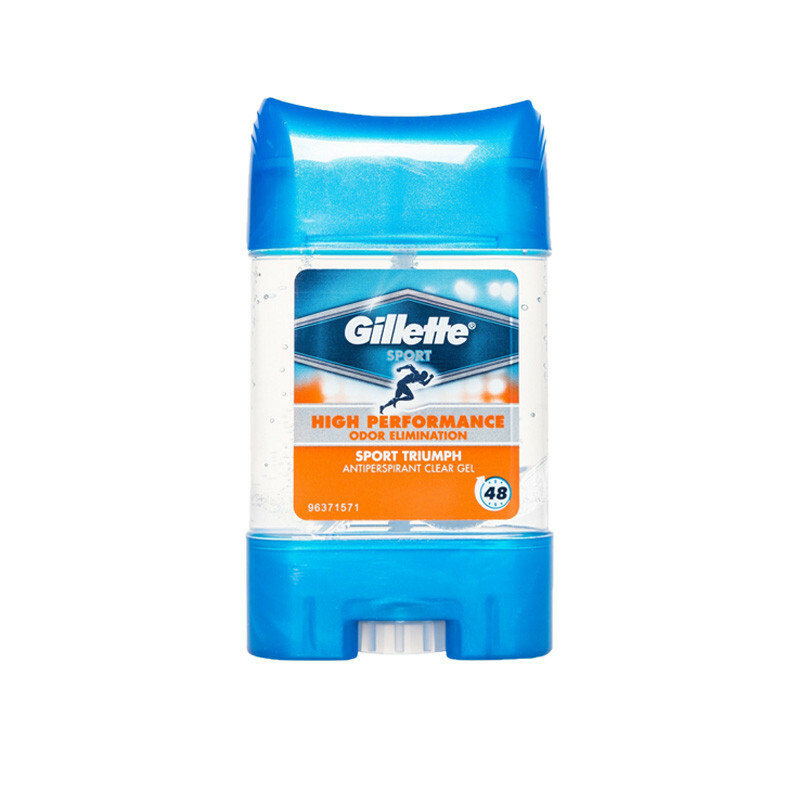 Provides all-day protection from wetness and odor; contains active odor blockers; features transparent dry shield.This gillette deodorant stick is gives you a long lasting fragrance and keeps you feel fresh all day.The most important moments in a man’s life require true confidence and sport triumph clear gel smell is very elegant provides long lasting fragrance.